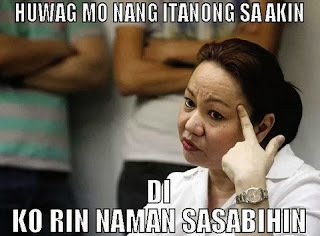 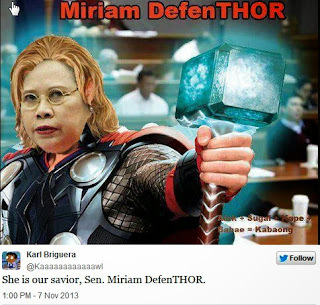 The interwebs was all a-flutter this afternoon after the senate hearing where Janet Lim-Napoles cried "'di ko po alam" and "I invoke my right" so much that resulted to so many JLN-memes. And a couple of Miriam Defenso-Santiago ones just because she blew everyone away for being... well, Miriam. 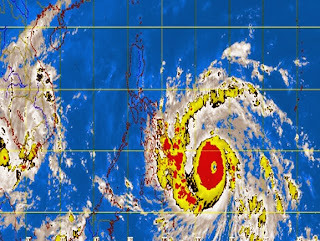 Dubbed as the "strongest storm in 2013" by CNN, it is enough to scare the bejesus out of DTM's mom, asking us to stock our pantry full of food and prepare for this storm by acting like doomsday preppers.